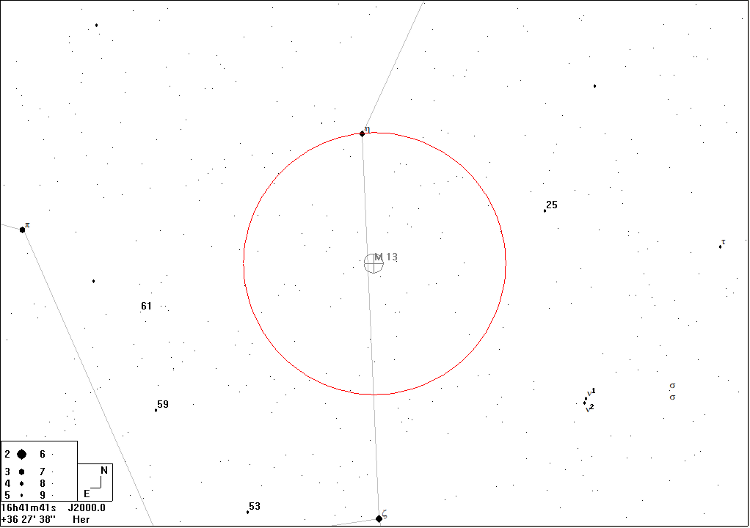 This is possibly the easiest of the northern hemisphere globular clusters to find, being very bright and lying ⅓ of the way from η to ζ Herculis. 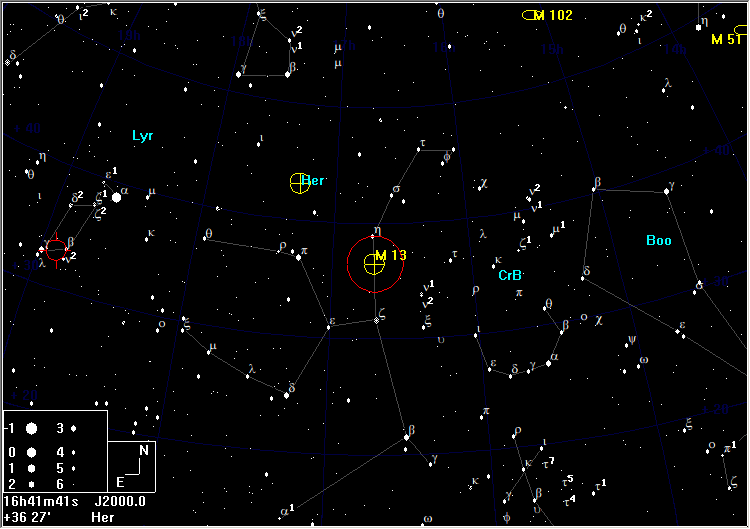 If you place η Her at the N of a 5° field, M13 will lie at the centre. 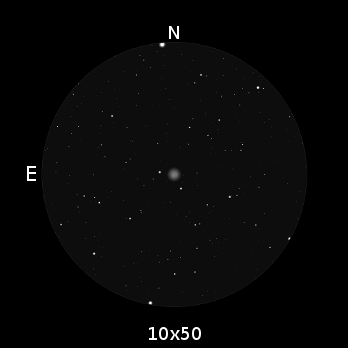 Although 10×50 binoculars will not resolve any stars of this cluster, its bright glow should span about 20 arcmin and may be visible to the naked eye, which is how it was spotted by Edmund Halley, who was the first to record it. Using large telescopes, several tens of thousands of stars have been resolved around the periphery of the 145 light year wide cluster, but the stars at the core are too close together, separated by 0.1 light years or so, to be resolved.